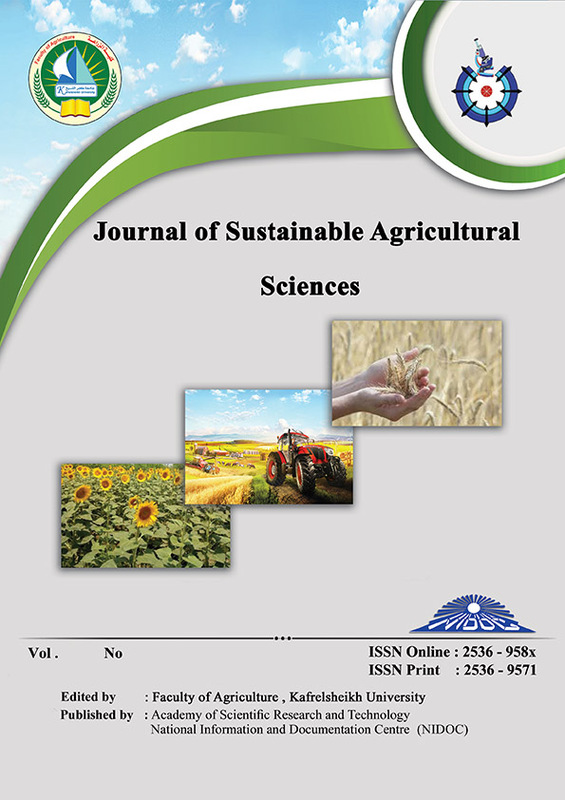 This study was carried out during the two successive growing seasons of 2014 and 2015 on eight years old Washington navel orange trees budded on sour orange rootstock grown in a private orchard located at Shino village, Kafrelsheikh governorate, Egypt, to evaluate the effects of some soil amendments and GA3 foliar application on vegetative growth, nutritional status, yield and fruit quality as well as soil properties. The experiment was arranged in a randomized complete blocks design with eleven combination treatments as follows: (T1) control or untreated trees, (T2) mycorrhizae at 15g/tree/year, (T3) mycorrhizae at 15g/tree /year + sulphur at 1kg/tree /year, (T4)mycorrhizae fungi at 15 g/tree/year + Nile fertile at 750 g/tree /year, (T5)mycorrhizae at 15 g/tree/year + bio-tol at 2 cm/l was sprayed from Feb. up to May, (T6)mycorrhizae + sulphur + 30 ppm GA3 was sprayed at full bloom stage, (T7)mycorrhizae + Nile fertile + 30 ppm GA3, (T8) mycorrhizae + bio-tol + 30 ppm GA3, (T9) phosphorine (bio-fertal) at 11 g/tree/year + Nile fertile, (T10) Phosphorine + bio-tol + 30 ppm GA3 and (T11) phosphorine + sulphur + 30 ppm GA3.The results indicated that trees treated with T11 had remarked effect followed by T7than the other treatments in most of vegetative growth parameters (canopy volume, leaf area, leaf dry weight and specific leaf weight, at the spring growth cycle) and increased leaf chlorophyll and mineral contents in both seasons. T11 followed by T10, T9, T8 and T7 achieved the best fruit yield and fruit quality compared with untreated trees. Soil pH and salinity (EC) were decreased while available macronutrients (N, P and K), soil microorganisms content and dehydrogenase activity were increased with applying T11, T10, T9, T8, T7, T6 and T5 comparing with control (T1). Therefore, both T11 and T7 treatments are recommended for citrus orchard to improve growth, yield and quality as well as soil properties and comforting higher return for orange trees growers under Kafrelsheikh governorate conditions.